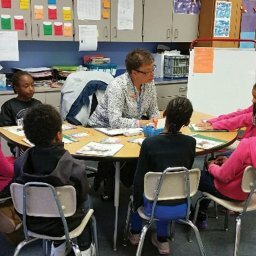 In a fourth-grade classroom at one high-performing school NCUST has studied, students worked busily in small groups pursuing their reading assignment. Each group had the task of reading a novel and creating a book review. Every student had a specific role that was essential to the group’s success, so everyone had to be involved. The teacher floated from group to group, listening to student conversations about the important items for inclusion in the review. One student had the important job of asking questions that the book review should address. as the student asked questions, the other students attempted to answer. Students did not always agree, but they had learned to support their answers through the text, providing evidence for their answers from the novel. When the teacher saw that one student was responding less than others, the teacher asked the student, “What do you think? Do you agree or disagree? Why?” or some similar question, both to make the student think and to place the student back in the thick of conversation. If a student had difficulty answering, the teacher probed in a manner that helped the student use prior knowledge, relate, consider alternatives, or otherwise move closer to understanding the important aspects of the novel. In this case, the teacher was listening to hear what students understood and what they did not understand. It was as if he wanted the novel to come to life in each child’s mind with sufficient clarity that the student would be able to see and understand story elements and understand how the author had pursued and accomplished his purpose. The depth and quality of the conversation made it clear that some students had achieved this level of understanding. The teacher, however, wanted every student to demonstrate this level of understanding, either through the conversation among his or her peers or through the teacher’s careful probing. Acquiring and responding to evidence of understanding is high-quality formative assessment. It is not an event (like giving a semester test) as much as it is a way of teaching. Great teachers continually want to know if their students are making sense of what they are teaching. In high-performing urban schools, teachers seek abundant evidence that students understand the concepts and skills being taught. To promote mastery of a specific concept, teachers frequently check to determine if their students have acquired meaning from the information shared in the prior few minutes. Teachers rarely assume that students understand. Instead, they look for evidence of understanding in oral responses, written responses, or other performances or demonstrations. This checking for understanding occurs with much greater frequency than it does in more typical schools. In typical schools, teachers might ask a few questions at the end of the chapter or lesson. In contrast, teachers in high-performing urban schools ask questions continuously. Also, in typical schools, checking for understanding is often limited to a few students (the ones who raise their hands to respond), whereas in high-performing urban schools, teachers check all or almost all students to ensure that everyone makes progress in mastering the lesson content. Furthermore, in high-performing urban schools, checking for understanding is purposeful and strategic. Teachers do not ask questions simply because the teacher’s guide makes the suggestion or because the principal is watching. 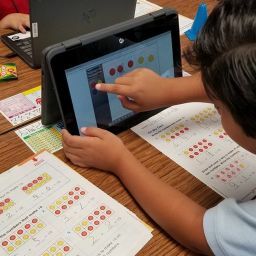 Instead, teachers check because they want accurate information about students’ levels of understanding so they can respond by adjusting instruction accordingly. Acquiring and responding to evidence of understanding is high-quality formative assessment. It is not an event (like giving a semester test) as much as it is a way of teaching. Great teachers continually want to know if their students are making sense of what they are teaching. 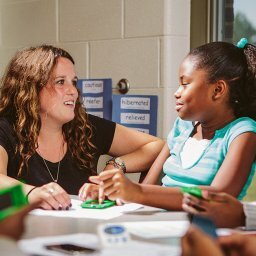 These teachers seek oral, written, and nonverbal feedback from their students continuously. Fisher and Frey (2007) explain that teachers can use a wide array of questioning techniques, writing tasks, projects, performances, and tests to acquire high-quality information about what students understand, misunderstand, or have yet to understand. 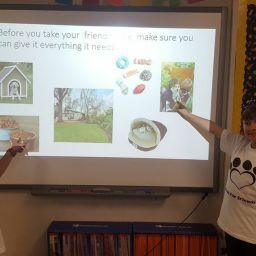 As well, these teachers use the feedback they acquire to refine their teaching, modify their examples, reframe their questions, highlight different connections, and guide students closer to mastery of the content they need to learn. In his article regarding formative assessment, Stiggins (2005) explains that teachers should use assessment to promote better quality teaching and learning. In the schools we studied, we found teachers modeling this type of formative assessment continually, in ways that promoted student mastery.